The enclosed ELISA assay kit for anti-PD-1 h-mAb in mouse serum is based on an enzyme immunoassay (ELISA) between recombinant PD-1 protein (ECD) and a biotinylated anti-PD-1 monoclonal antibody. The method employs the principle of competitive ELISA, allowing quantification of monoclonal anti-PD-1 antibodies in mouse serum. 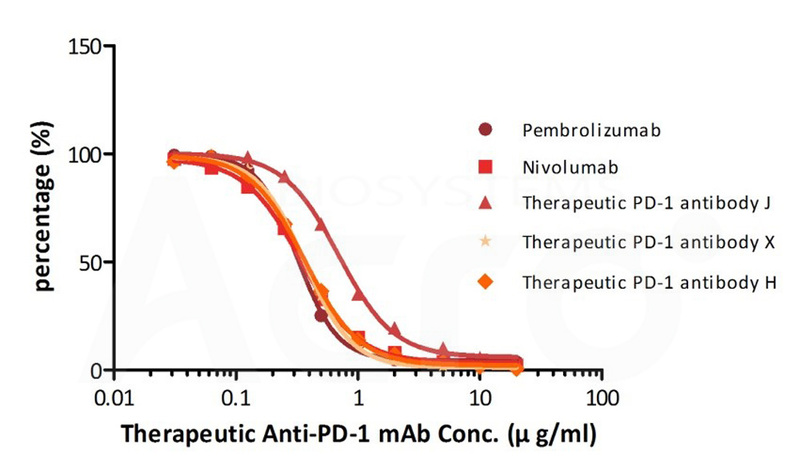 Quantitative Analysis Five Different Therapeutic Anti-PD-1 Antibody in Mouse Serum Samples.